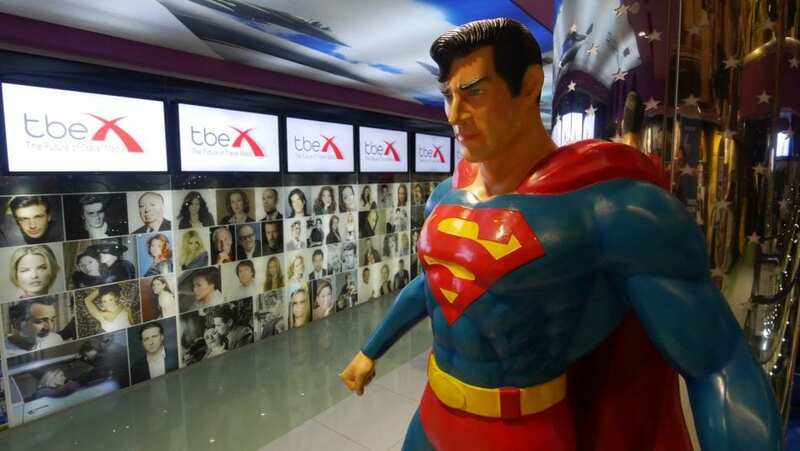 From Hollywood to Jerusalem, TBEX International 2017’s Opening Night Party promises to be a red carpet evening you’ll long remember. Q: What Israeli connection do Natalie Portman, Richard Gere, and Jason Isaacs have in common? A: Each of these award winning actors have produced or filmed movies in Jerusalem. In fact, the Cannes, Toronto, and Tokyo Film Festivals have each selected films that originated from Jerusalem. And the 2011 Israeli comedy/drama ‘Footnote‘, which was written and directed by Joseph Cedar, received an Oscar nomination for “Best Foreign Language Film” and the “Best Screenplay Award” at the Cannes Film Festival. We live in a world of symbols. In the eyes of Israel and the international public, Jerusalem is perceived in a colorful light: a concept symbolic of religious belief, spiritualism and mysticism, as well as a symbol of political upheaval and deep rooted tensions. Oftentimes this widespread misconception causes the world to forget that Jerusalem is a modern day city in every respect – a city of culture, abundant technology, world class cuisine, and artistic innovation. These symbolic heartbeats of Jerusalem are calling out for time and space on the big screen. Their stories must and should be told in order to broaden the world’s concept and conversation about Jerusalem. So we’re rolling out the red carpet for the opening ceremonies at TBEX International 2017, and dedicating this evening to sharing with you, the impressive contribution of Israel and Jerusalem in the global film industry. We cannot wait to greet you on the red carpet! The location: Jerusalem’s Cinema City. One of the city’s newest and most magnificent venues, Cinema City is an Israeli venture by the Edri brothers who, in the 1970’s, understood the importance of bringing film and cinema to consumers. They’ve successfully realized their vision by merging elegant, luxurious theaters with a premium shopping, dining and entertainment experience. 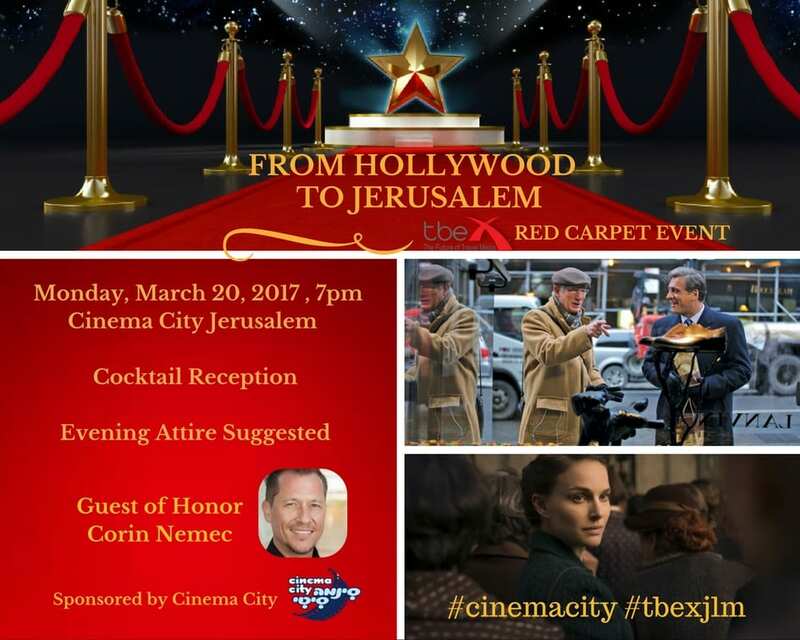 TBEX International 2017 in Jerusalem is honored to host actor Corin Nemec, who will speak to us and share his experiences in the TV industry. Corin played the title character on Fox Television’s Parker Lewis Can’t Lose, Jonas Quinn on Stargate SG-1, and Harold Lauder in the ABC miniseries, The Stand. We greatly appreciate your use of the hashtags #tbexjlm and #cinemacity when posting to your fans and followers on social media! This sounds amazing! Who doesn’t love a RED CARPET! !